InterExchange Work & Travel USA hosted a series of cultural events for our arriving participants at the New York City Fire Museum, located in the former quarters of Engine Company No. 30, a 1904 Beaux-Arts firehouse on Spring Street. 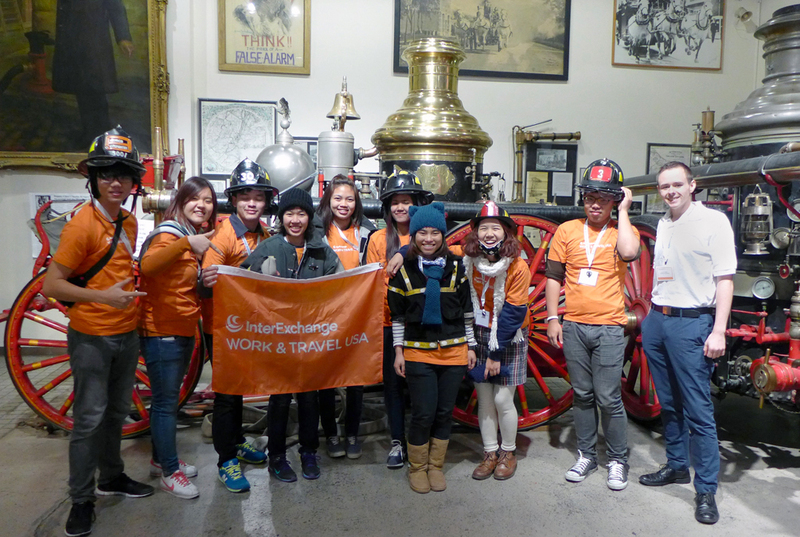 InterExchange makes safety a priority for all our program participants and we took more than 20 students from Thailand to interactive fire and safety training sessions in March and April when they arrived in NYC for their orientations. Retired FDNY firefighters proudly volunteer at the museum to train attendees and relay stories of "New York City's Bravest". John Gildea teaches participants fire escape skills. The training program focused on fire prevention tips and fire safety risk assessment of residential premises. During their visit, students learned how to inspect their U.S. housing sites for fire hazards, discussed kitchen safety and learned how to read and understand evacuation and fire safety plans at their U.S. workplaces. 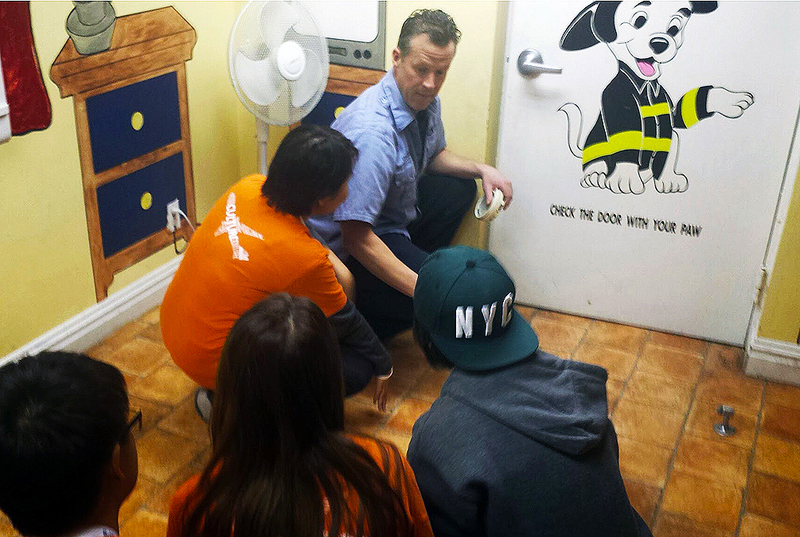 All participants performed basic fire escape exercises under the supervision of John Gildea, FDNY Lieutenant, and were excited to practice their skills in the NYCFM smoke room. 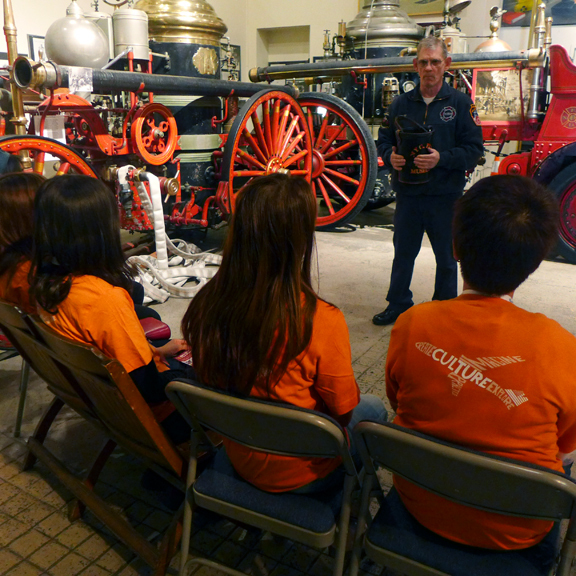 These fire safety training events were accompanied by learning sessions, which taught participants about the history of the New York City Fire Department. Students also visited the 9/11 Memorial Room and took pictures with NYCFM staff. John Kenney, FDNY retiree, speaks to students. Participants discussed their experience with each other and shared what they enjoyed most. According to Aue-Angkoon N. from Thailand, the event helped her experience U.S. culture because she had never attended an event of this kind before. Aue-Angkoon said she enjoyed this cultural experience because she acquired "new knowledge [to] apply in everyday life".